We all love the idea of a luxurious bed overlooking sprawling cityscapes or oceanic views, but we all don’t have deep enough pockets to go overseas. But who says holidays must be taken out of the country to count? 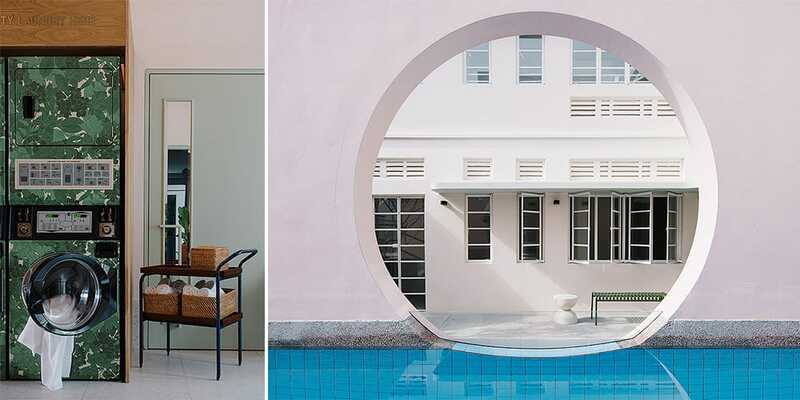 You can have an equally enjoyable vacay with tons of relaxation and plenty of Instagrammable photos for your feed at one of the many boutique hotels in Singapore. 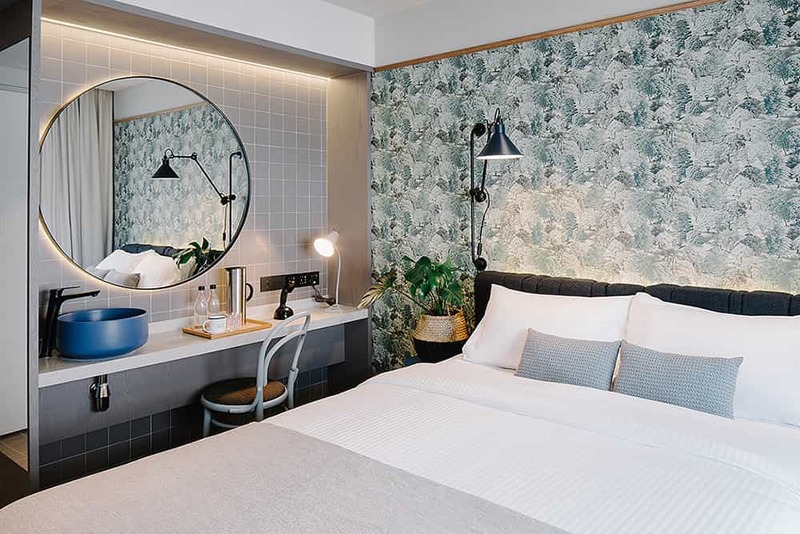 Whether you’re looking for a romantic staycay with your significant other or hosting a merry get-together with your friends, give these interesting boutique hotels a go. Maybe you want to treat yourself on a budget. 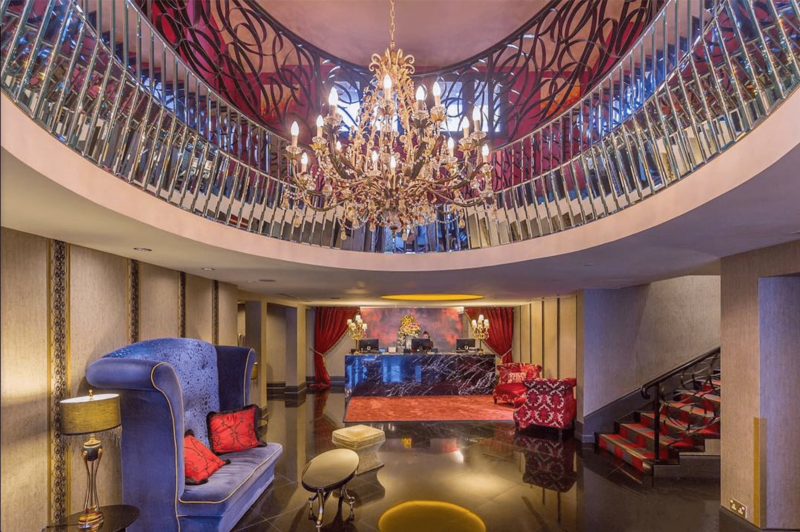 Enter: the indulgent world of The Scarlet, where it’s all about heady opulence and provocative rebellion. 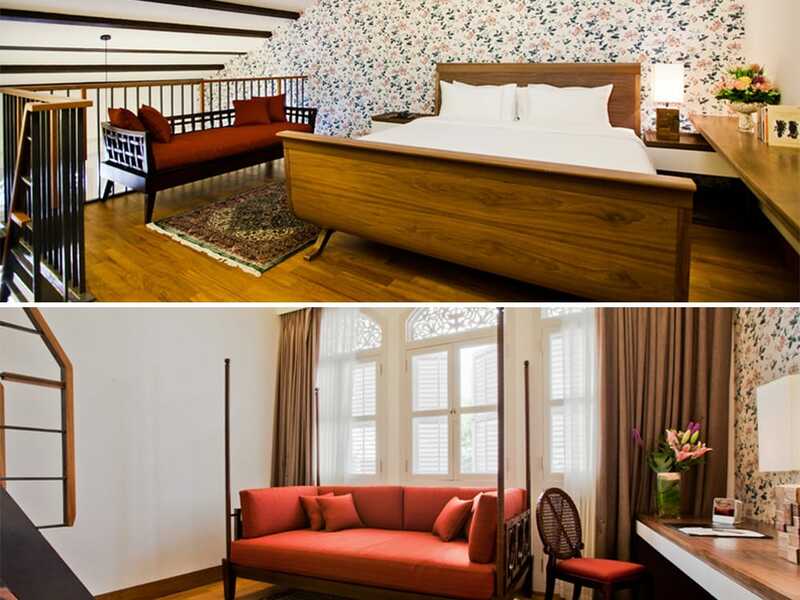 The outside looks just like any other boutique hotel sitting on a row of shophouses, but the decadent furnishings and plush fabrics all scream luxury. Give in to your Christian Grey desires as you delight in the hidden wonderland from your humdrum HDB flats. 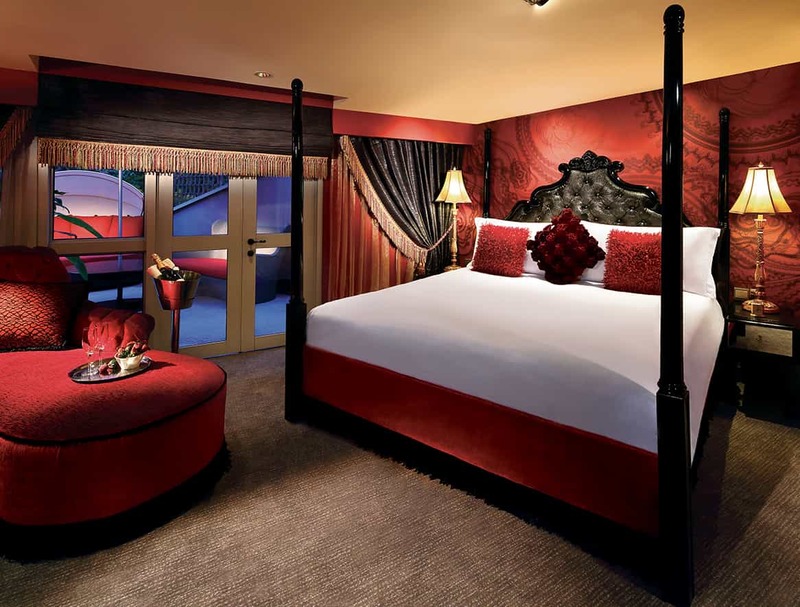 Each room is unique in design, and you get the option during check-in to choose from lush reds to cool turquoise rooms. 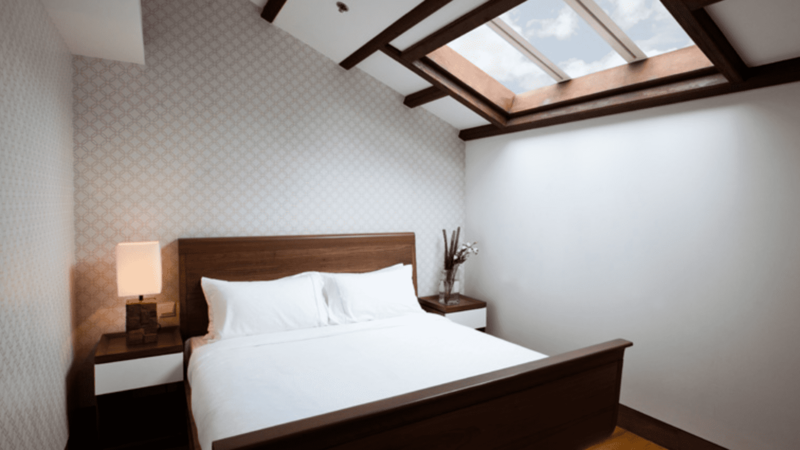 Some rooms even have vaulted sky lights to flood your room with plenty of natural sunlight for gorgeous pictures. 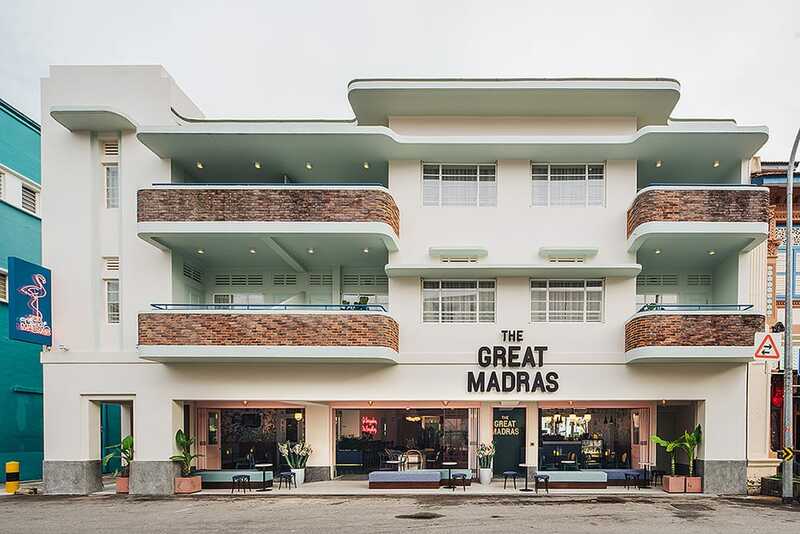 Everything in The Great Madras looks like it just came out of a Wes Anderson film – even the name bears a striking similarity to the film The Grand Budapest Hotel. With only a loud neon flamingo beckoning from the outside of the unassuming hotel standing in one of the streets of Little India, every inch of the hotel interior is awash in blocks of colors and neon lights. And we’re not kidding when we say that every corner is Insta-worthy. 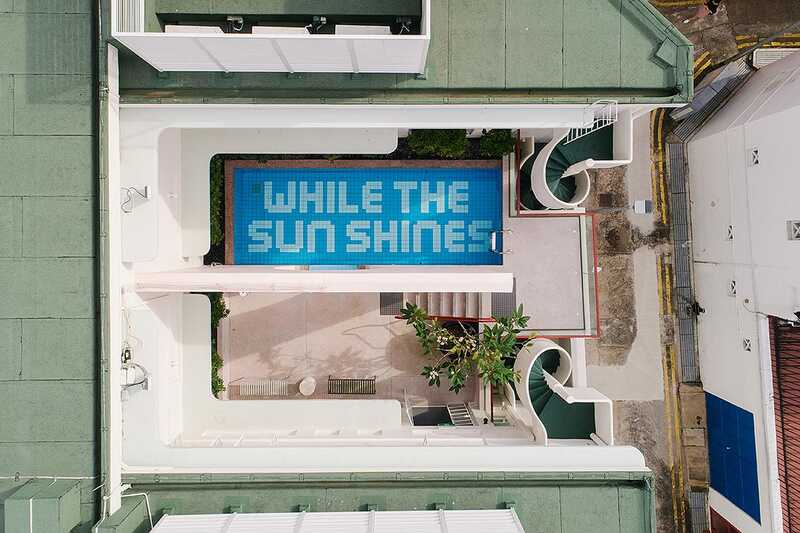 Their corridors are dressed in more neon signs, the pools are a quick dip from the bustle of the city, and even the laundry makes for a great backdrop with its green retro outfit. The first floor houses a deli where you can get tapas and quick bites, a hipster barber with cuts from $45, and even a laundry room which looks like it came out of an IKEA showroom display. The boutique hotel has 35 rooms, all decked out in various colours and designs, with no two the exact same but equally charming. Think cerulean tiles, floral wallpapers, cool red sinks, and industrial black fixtures. Depending on the room you pick, you might even get a small balcony or shared courtyard space directly accessible from your room. Sitting in Kampong Glam is a row of rustic two-story shophouses that has been combined to create The Sultan. 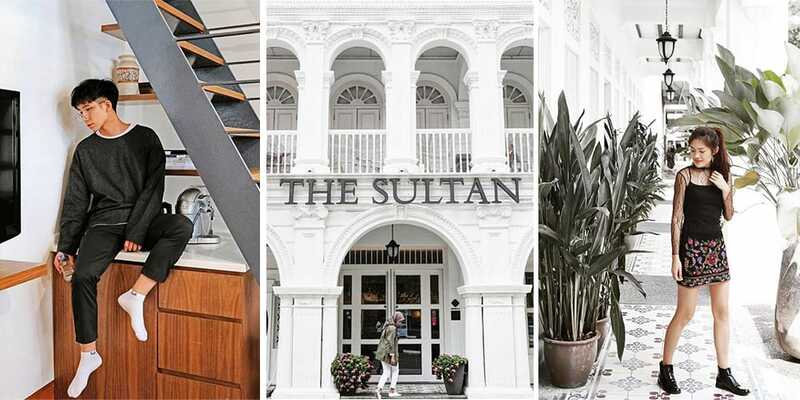 The colonial shutters and ornate details on the outside has been carefully conserved, and the open air corridors are linter with plants for #ootds. 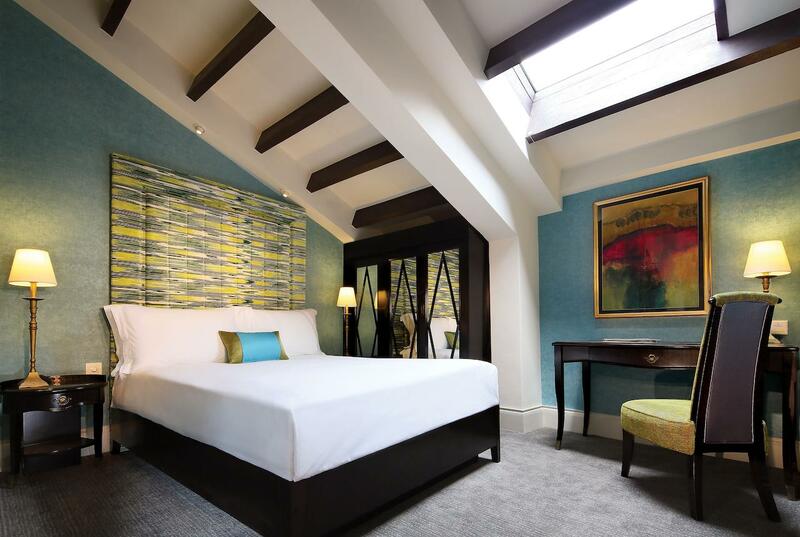 The smaller rooms are cosy enough for a romantic night, while the loft-style rooms can easily fit groups of up to 15 people. 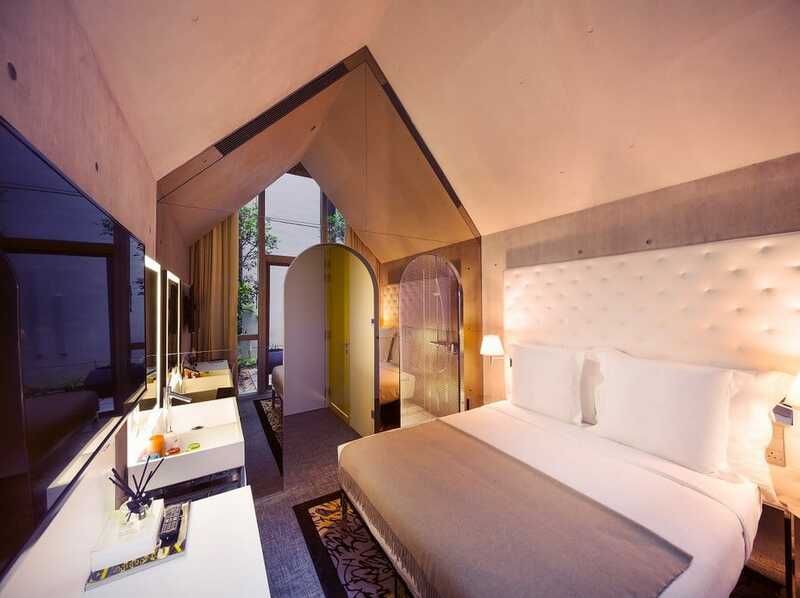 Even though the rooms are on the smaller side, The Sultan cleverly uses space to make the rooms seem bigger, with Japanese loft-style beds and high ceilings. Light, earthy tones provide a warm, cosy setting for drinks and house parties. Just be considerate of your neighbors and keep the noise level down! Do you find clean, white slate walls and granite pipes calming? 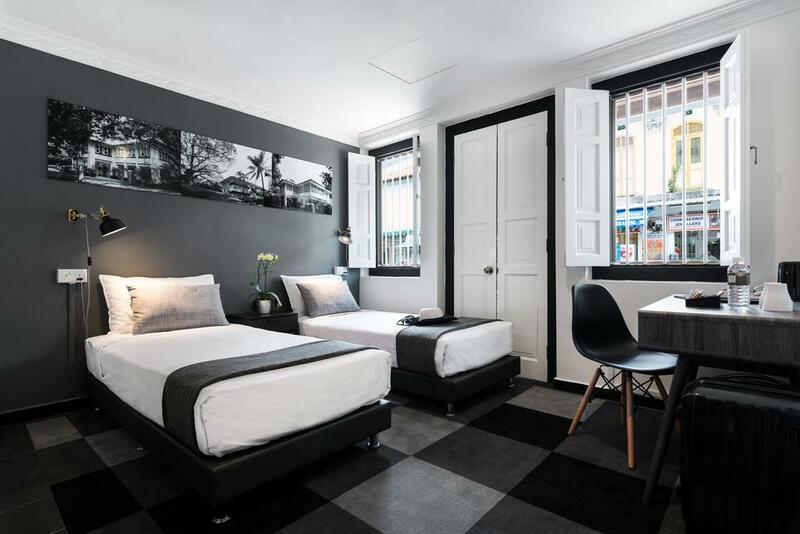 We’ve found a minimalistic oasis in the middle of town in the form of Lloyd’s Inn. 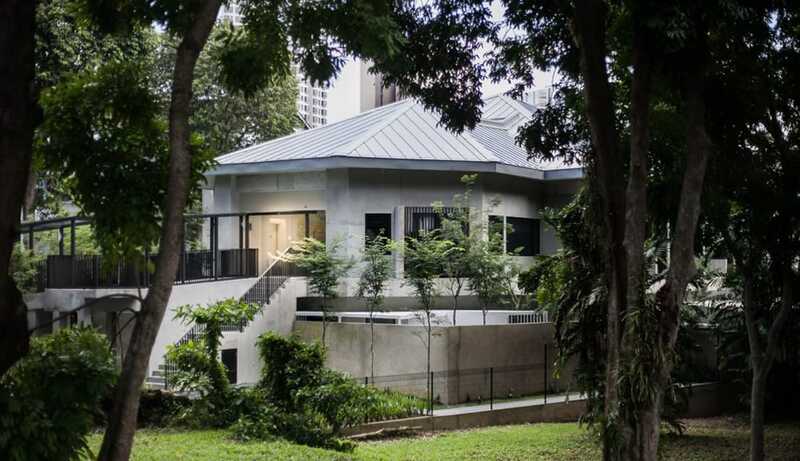 Located halfway in between Orchard Road and River Valley Road, you’ll be spoilt for choice for dining options just a short walk or drive away. And when you’re done, you can retire to your little haven. The wide windows let in plenty of sunlight, and everything detail in the clean white space makes you feel at peace. Some of the bathrooms are even half outdoors, allowing you to connect with nature – something that we might not experience in our urban city. 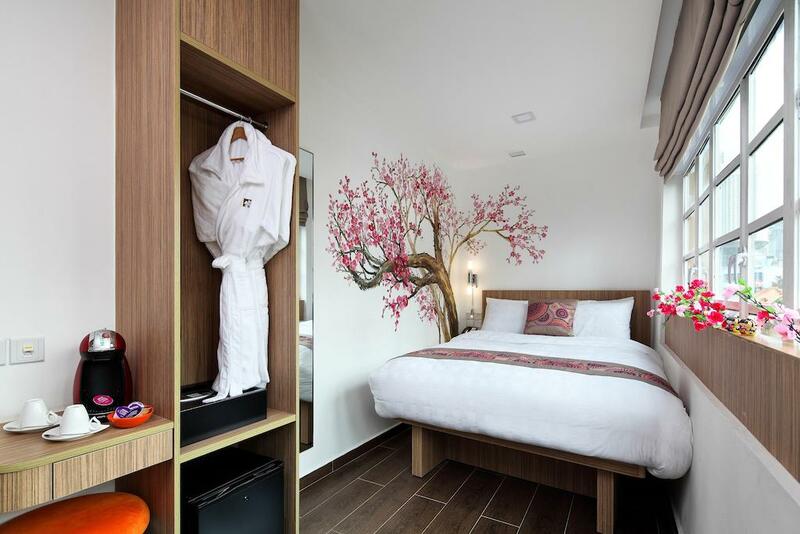 Some of the more premium rooms even come with a private outdoors garden for a slice of zen. The only downside really is that there isn’t any F&B in-house (read: no room service if you get midnight hunger pangs), and the nearest breakfast joint exists as two nearby cafes, Freshly Baked and Killiney Kopitiam for a traditional start to the day in the form of kopi and half-boiled eggs. The gorgeous hotel also has a branch in Bali that we dare to say is even more #minimalistic goals with hanging bamboo pods and water hammocks, and will soon be opening a new outlet in Kuala Lumpur. Every room is a work of art. The walls are adorned with murals hand painted by local students, and can be anything from local tourist spots, sakura blossoms, or just random adorable bobble heads. 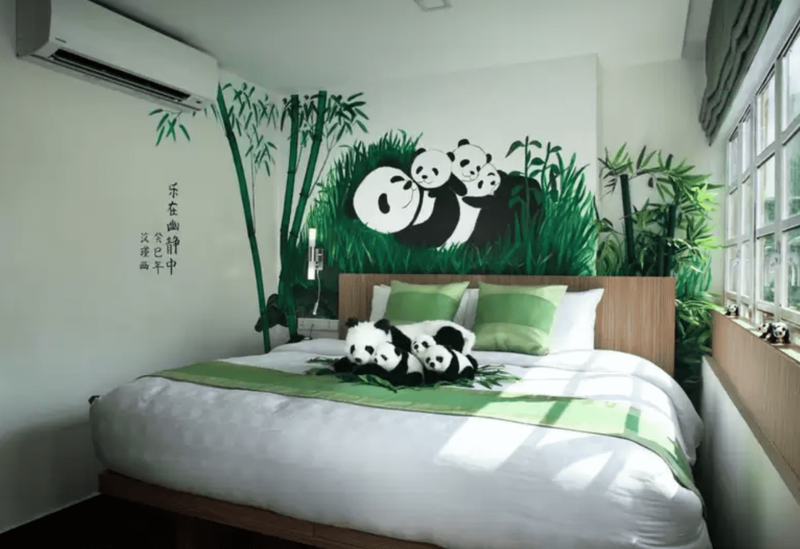 Little surprises that fit in with the theme of the room makes your staycay that much more special, like this Chinese-inspired room comes with panda plushies and green potted plants. The quirky hotel can easily be recognized by the melting tea cup outside the lobby, and is splashed in plenty of color on the outside. While there isn’t a pool in Hotel Clover The Arts, you can pop over to their sister Hotel Clover 5 about a minute’s walk away to use their rooftop pool. Instead, Hotel Clover The Arts has a rooftop garden where you can wind down or even view the fireworks on major celebrations like National Day or New Year’s Eve. While you’re there, don’t forget to stop by Beast & Butterflies, a restaurant by day and bar by night. The gastrobar is full of retro-contemporary charm, complemented by a whimsical modern-fusion menu and eclectic tipples. 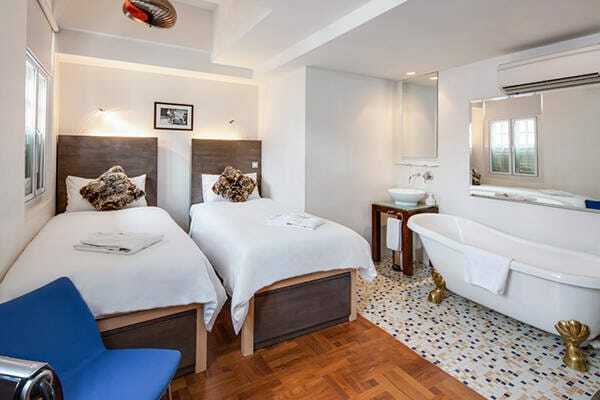 The little rooms at this cosy hotel are more suited for couples and really, really small groups. 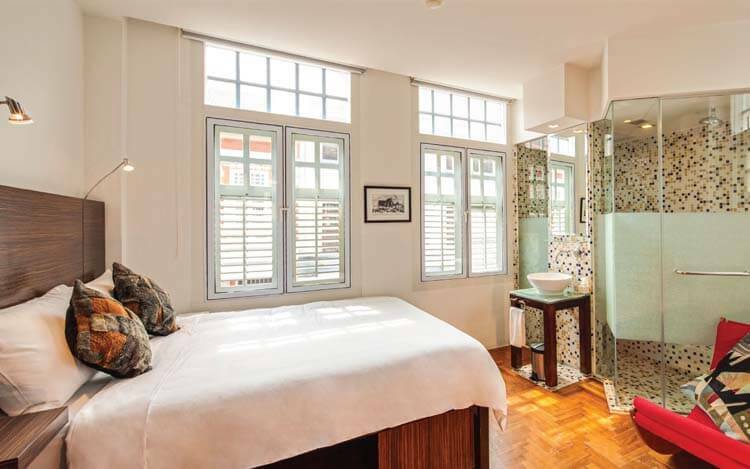 1929 is an enclave built into a row of shophouses in Chinatown, and is surrounded by plenty of bars. Little touches like free-flow traditional local snacks in the lobby and the bathtub not in a separated toilet makes it an interesting staycay. 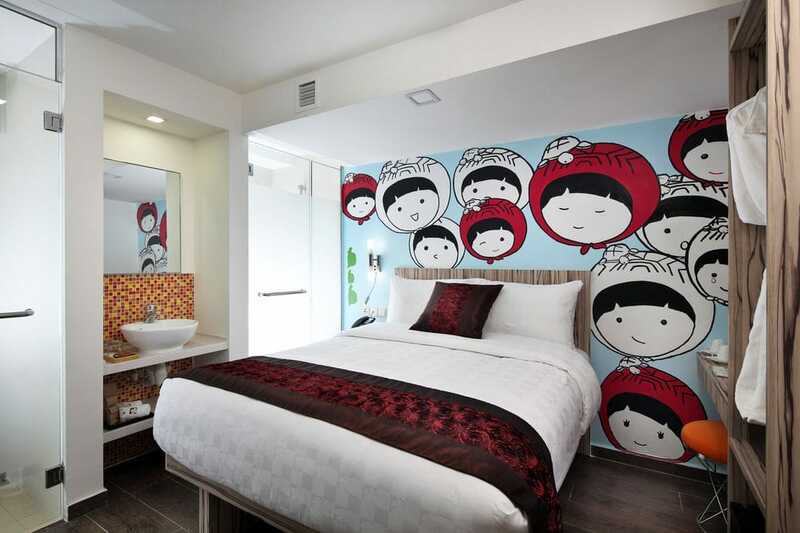 This hotel’s a quirky mix of art and homely and technology. 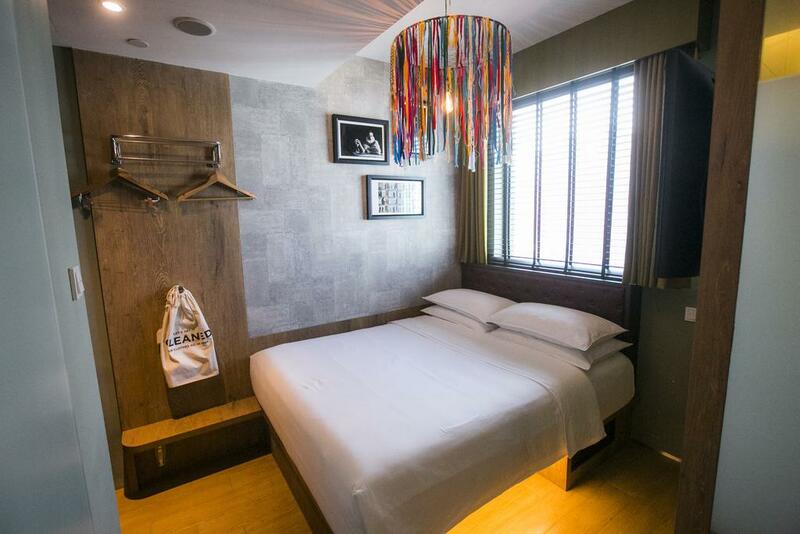 XY Hotel in Bugis is a fun boutique hotel with surprises in every corner. 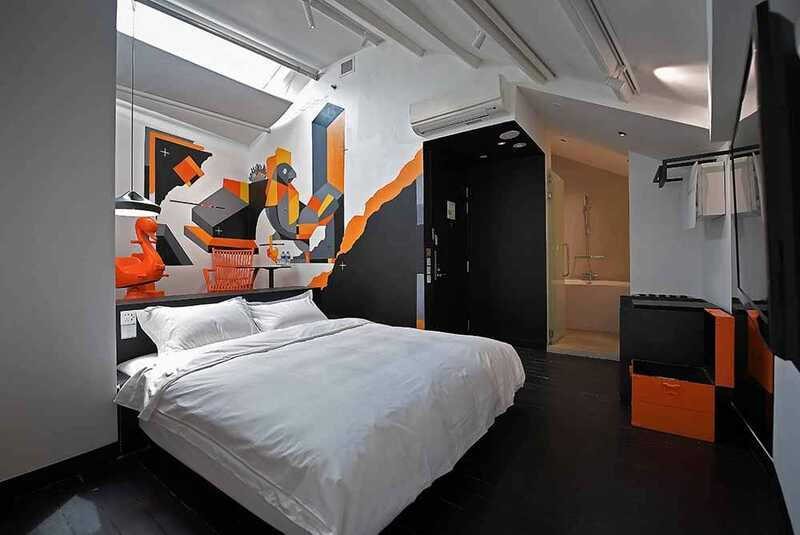 Each of the 15 rooms is designed with a unique character with a black-and-white color scheme by a mix of local and international artists like Japanese artist Tomoko Tsuruta and upcoming local artist Leo. Staying true to its local roots, breakfast is served up Singaporean style for in-house guests. Wake up early to lounge by the pool, which comes with huge unicorn floats to take relaxing pictures for your IG feed and not so much for recreational swimming. 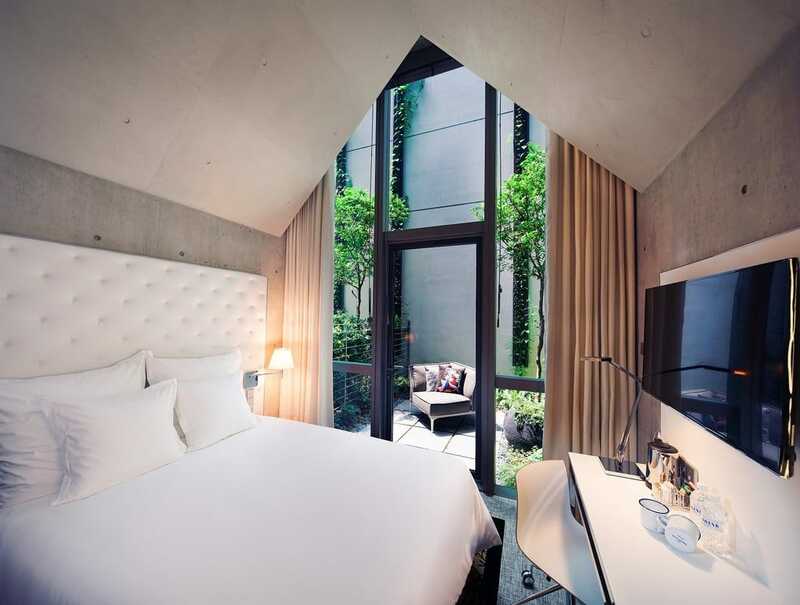 This minimalistic hotel is the exact opposite of Lloyd’s Inn, with a focus on clean, dark lines and dark accents. 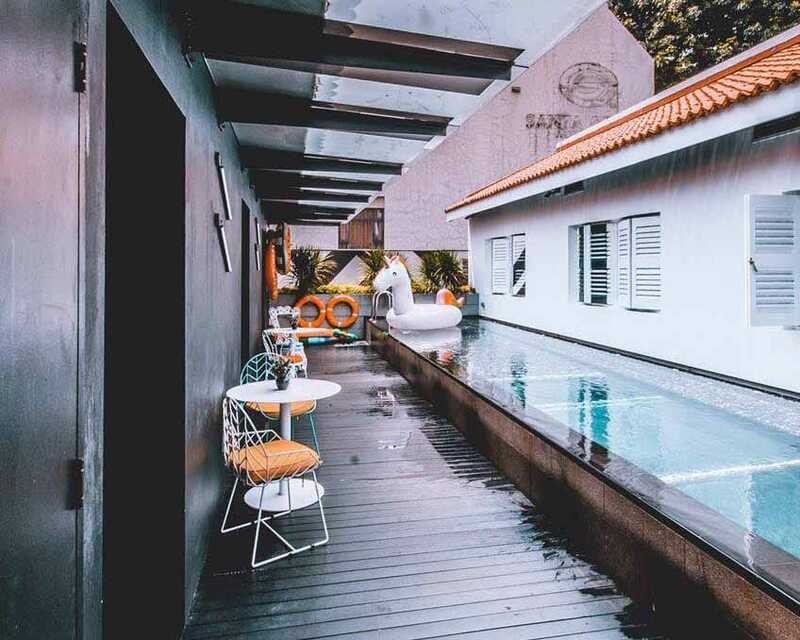 Park 22 in Chinatown is an affordable yet quaint little boutique hotel in the heart of town and a short walk away from the hipster enclave Tiong Bahru with indie bakeries and modern cafes. 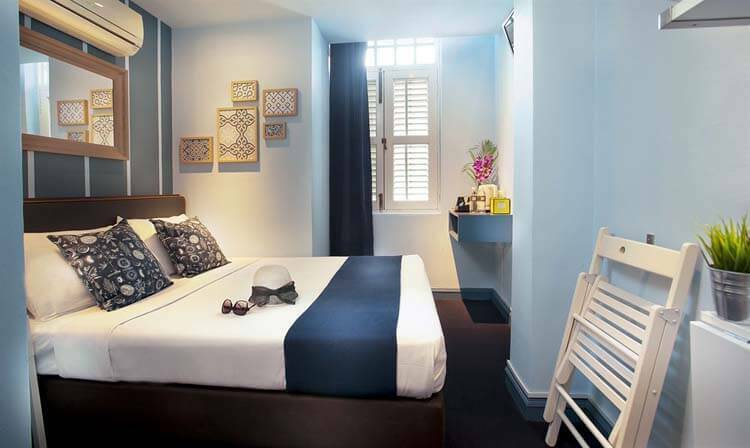 If black isn’t your thing, they also have brighter blue-themed rooms. 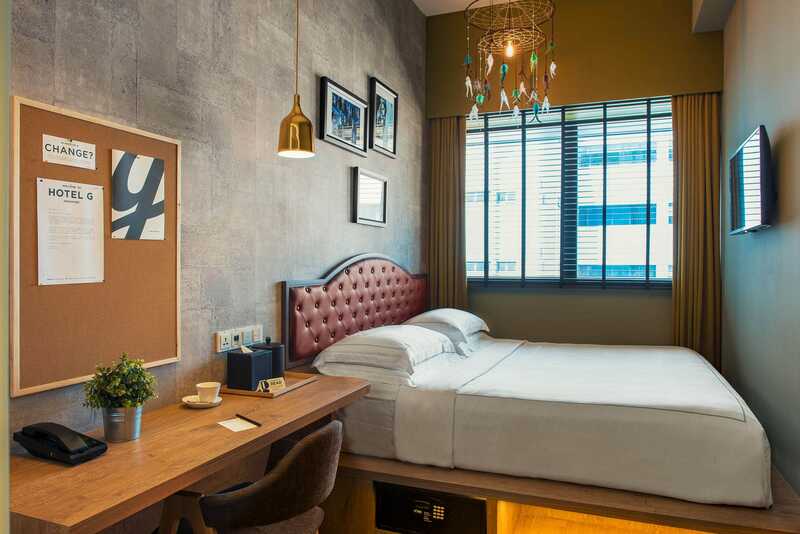 Industrial chic is the heart and soul of Hotel G, where the 308 rooms are categorized into Good, Great and Greater. Whimsy dreamcatchers, concrete slabs, and wooden paneling all culminate in a statement chandelier hanging from the ceiling – it’s a fun yet cosy room to while the night away. The hotel also has a pretty dope gym done up in the same industrial decor for those who don’t have a rest day, and a bar on the ground floor with a vast selection of wines and delicious cheese platters.